Of all the provinces to have band-run schools, the only province that can be considered to have a moderately successful system is Saskatchewan with a graduation rate for students who attend band-run school almost 20% higher than the national average; this is in spite of an enormous amount of financial inequality as R.J Kowalchuk demonstrates that Aboriginal schools receive annually almost $1300.00 less per pupil than their provincial counterparts. The reason why Saskatchewan has been able to consistently produce graduation rates above 42% despite this inequality is because they have integrated their schools with the Saskatchewan government. What this means is that instead of dealing exclusively with the AANDC, Saskatchewan’s Aboriginal communities have sought to work more closely with the provincial government in order to better ensure that standards are being met and act more efficiently if they are not. Taiaiake Alfred is the author of Peace, Power, Righteousness: An Indigenous Manifesto and has proposed having sovereign Aboriginal communities along with an independent education system. Two other options, that closely resembles what Saskatchewan has done, have been put forward by Danielle Lamb and Aboriginal activist Taiaiake Alfred. In order to increase the effectiveness of spending on Aboriginal education has been to eliminate the need for a three-party system. Lamb’s and Alfred’s opinions on how exactly this should look differ greatly, Lamb is more of a fiscal pragmatist who wrote that the Aboriginal education system would be best served working with only one level of government whereas Alfred is more radical and has written that he would like to see Aboriginal communities operating as sovereign states with no government involvement whatsoever. Alfred’s vision is certainly radical, however his beliefs are the result of a deep resentment of the federal government’s handling of Aboriginal education. This resentment stems from the residential school system and the belief that the current school system is still robbing Aboriginal youth of their culture and forcing them to adopt a colonial mindset; for Alfred this is what the AANDC represents to Aboriginal education. Even without the historical reminders of the residential school system, the idea of an Aboriginal education system that does not have to deal with the bureaucracy of both the provincial and federal governments is an appealing one. If band-run schools were able to deal exclusively with one level of government, preferably provincial, in order to establish standards and create curriculum it would mean a much simpler education system that would be capable of making reforms more quickly and more effectively. 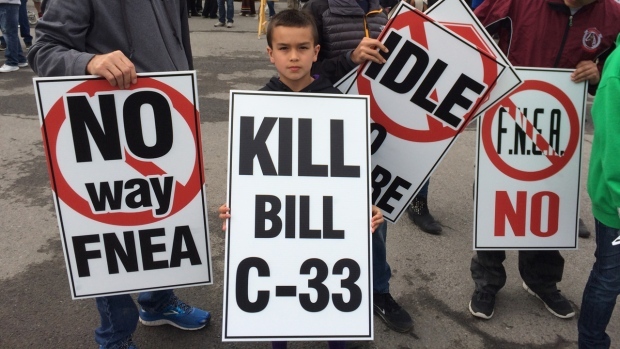 A child protests Bill C-33. Many Aboriginal leaders and community members do not agree with the bill and, despite the money that it would put into the education system, believe that it represents the Federal government having too much control over Aboriginal education. Ultimately, control over their own educational future is a necessary step in preserving the language, culture, and future for Aboriginal communities. 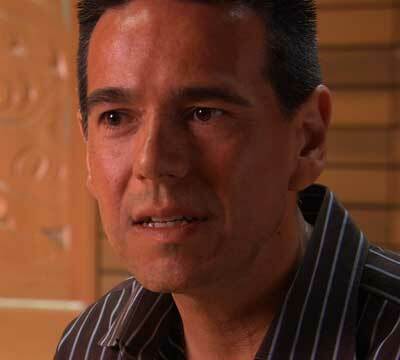 There are several very serious issues within the Aboriginal education system such as graduation rates, funding, as well as the legacy of residential schools, however there are possibilities for reform that could help with the systemic inequality between Aboriginal students and the rest of Canada.